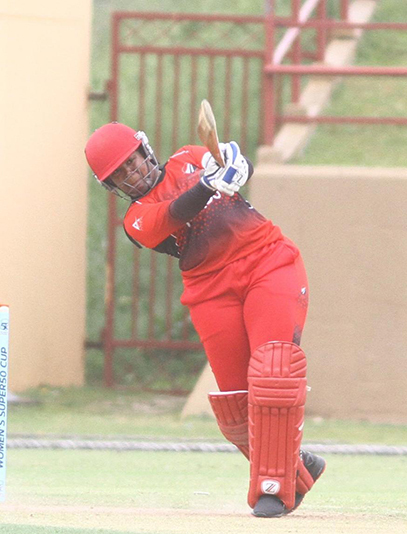 A match-defining half-century from Reniece Boyce propelled Trinidad and Tobago to a 69-run win over host Guyana in the opening round of the Cricket West Indies (CWI) Colonial Medical Insurance Women’s Super50 Cup at the Providence Stadium, yesterday. Boyce, who strolled to the crease with the score on 61 – 4, carved out a responsible half-century to carry her side to 221 for 7 after 50 overs. Guyana women in reply, scored 152 all out. The day began with the Guyanese winning the toss and electing to bowl on a grassy looking surface, which provided plenty of assistance for seamers Erva Giddings and Tremayne Smart, who both got the ball to sway early on. Giddings, a left-arm seamer by trade, was particularly difficult to navigate. 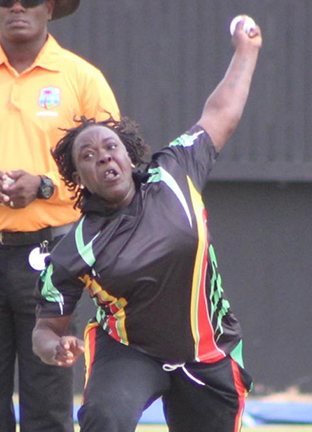 She snapped up two early wickets – Felicia Williams (00) and West Indies batter Britany Cooper (00) – which tilted the tone of the match Guyana’s way early on. Trinidad, as a result, were ambling at 26 – 2 after the first power play. Rachel Vincent (17) and Stacyann King (28) attempted to rebuild the innings and carried the score past the 50-run mark before Azake Thompson, who held a tight line, removed both batters; the latter with the score at 61-4. Nine runs later, young off-spinner Sheneta Grimmond trapped skipper Merissa Aguilleira (4) LBW to send Trinidad into further disarray with the score on 71 – 5 in the 20th over. They then moved to 90 – 5 at the halfway point with five wickets intact. The Guyanese then became complacent as Trinidad took control of the second half of the innings and added 131 runs to end on 221 – 7 at the end of 50 overs. The revival came on the back of a fine innings by 21-year-old Boyce, who stuck a calculated unbeaten innings of 65, decorated with eight fours. The right-handed Boyce, who stabilised the innings and later on injected it with some much-needed momentum, was involved in three crucial partnerships with Lenny Kirby (21) which yielded 48 runs and Anisa Mohammed (20) with whom she added 39 runs. However, the most productive union was compiled along with number nine batter Samantha Bissoon, who ended unbeaten on 35 during the unbeaten 64-run partnership. Giddings (2-34) was the pick of the bowlers for the Guyanese, while Thompson (2-46), Shabika Gajnabi (1-19), Ploffianad Millington (1-25), and Grimmond (1-35) all ticked the wickets column. Guyana in response, lost the wicket of Melanie Henry (5) with the score on 15-1. Skipper Shemaine Campbelle, who came in at first drop and Grimmond, weathered a few testing overs from the ladies in red to lift Guyana to 71 before Grimmond needlessly gifted her wicket away for 25. The partnership, however, yielded 57 runs during which both batters played a few delightful shots to settle the nerves. The jitters, however, soon returned as Guyana lost four quick wickets – Lashuan Toussaint (00), Gajnabi (1), Thompson (3) and Smart (00) – to slump to 90 for six at the halfway point. Campbell, who watched as wickets tumbled at the other end, continued to stroke the ball sweetly as she inched closer to what appeared to be a sure half century before she was run out for 46 after easing five fours. 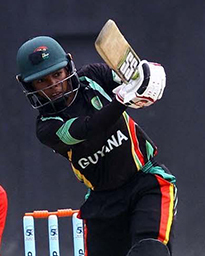 Her demise triggered another collapse as Guyana were bundled out for 152 in 46.4 overs to hand the women from the Twin Island Republic the 69-run win. 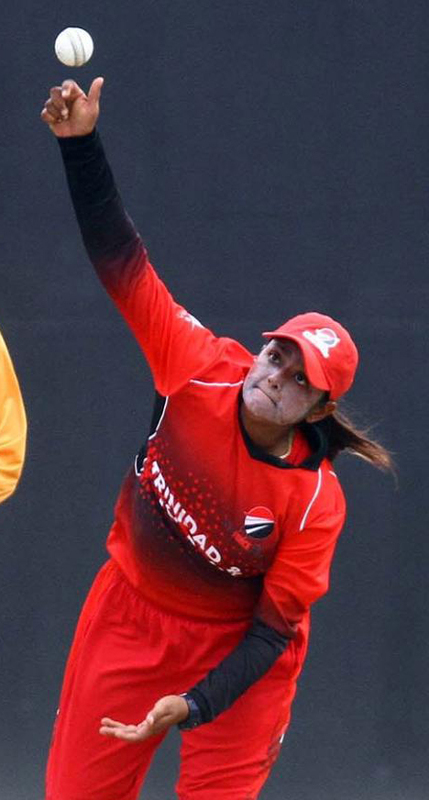 Felicia Walters was the pick of the bowlers for Trinidad and Tobago while Mohammed’s off-spin produced figures of 3-32 from 8.4 overs. Guyana will next play Jamaica tomorrow at the Everest Cricket Ground.